The British subpoenas of the Boston College Belfast Project oral history archives is a multifaceted, layered case that involves academic freedom, confidentiality and the protection of sources, right to life issues, and tensions around the application of the 1st and 4th amendments of the US Constitution. It is an example of the recent words of Eric Holder, “the right balance between the interests of law enforcement and freedom of the press”, and how his Department of Justice weighs that balance. The case has a huge implication on research work across a number of sensitive fields, and raises questions about the ability of governments to abuse the Mutual Legal Assistance Treaty (MLAT) process in order to pursue political agendas. The case is a Foreign Policy issue involving the British, Irish, and American governments, the Irish peace process, legacy issues and the Good Friday Agreement, and also raises numerous jurisdictional questions. This website documents the fight against the subpoenas. The Belfast Project was an oral history of Irish Republican and Loyalist paramilitaries gathered between 2001-2006 and archived in the Burns Library at Boston College. 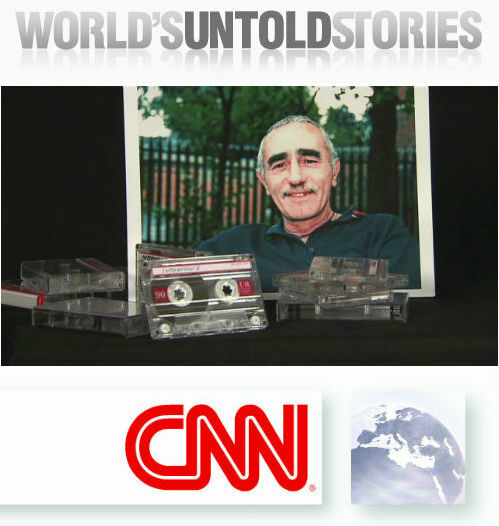 In 2010, the first interviews from the archive were published in the book Voices from the Grave, and featured in the documentary of the same name. These interviews, with former IRA leader Brendan Hughes and former UVF member David Ervine, were made public upon the death of the interviewees as per their agreement with Boston College. 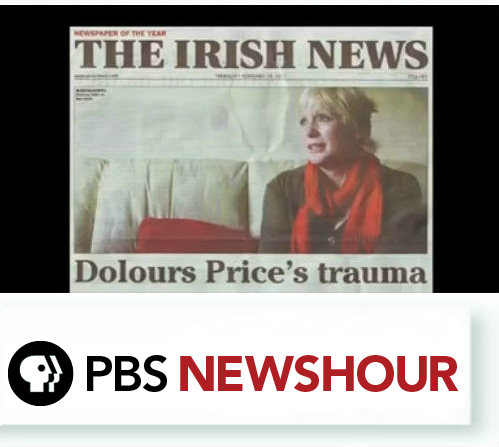 Former IRA volunteer Dolours Price, while being treated for depression and other aliments, gave an interview to Allison Morris of the Belfast-based Irish News. After strong objections from her family, the newspaper greatly altered the scope of their story. However, two days after its publication, Ciaran Barnes, a colleague of Morris’s at the Sunday Life, a Belfast tabloid, ran with a full spread based on a taped interview he claimed to have heard. Barnes also claimed that Price had “made taped confessions of her role in the abductions to academics at Boston University [sic]“, which was not true. In March, 2011, the British Government contacted the US Department of Justice to initiate MLAT proceedings which led to the issuing of a sealed subpoena for all materials relating to two interviews in the archive, those of Brendan Hughes and former IRA member Dolours Price. Dolours Price’s interviews were still embargoed under the terms of agreement she had with the Burns Library. Boston College filed a Motion to Quash the subpoena in June. In December, 2011, Judge William G. Young ruled against both Boston College’s Motions to Quash the Subpoenas and Moloney and McIntyre’s Motion to Intervene. He granted Boston College’s suggestion to review the archives in camera and subsequently ordered the material to be handed over. Boston College declined to appeal while Moloney and McIntyre filed a Notice of Appeal and complaint seeking a judicial review. They also won a Motion for Stay Pending Appeal to the First Circuit. In January, 2012, Judge Young dismissed Moloney and McIntyre’s Complaint. Chairman of the Senate Foreign Relations Committee Senator John Kerry publicly called upon Secretary of State Hillary Clinton to intervene and have the subpoenas withdrawn. Moloney and McIntyre filed their Appeal with the First Circuit in February, 2012. The ACLU filed an amicus brief in Moloney and McIntyre’s case. Congressmen Crowley and Ackerman along with Senator Menendez wrote to Secretary of State Clinton calling for a withdrawal of the subpoena. The American Sociological Association issued a statement in support of the right of research confidentiality. 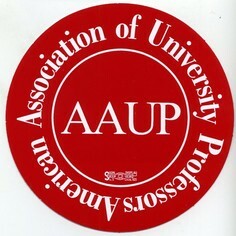 The Boston College chapter of the AAUP started a petition calling on the administration of Boston College to investigate the handling of the Belfast Project and the subpoenas. Boston College filed their appeal of the second subpoena in March, 2012. In Ireland, Fianna Fáil leader Micheál Martin questioned the Taoiseach, Enda Kenny, about the case. Senator Chuck Schumer wrote to Attorney General Holder and Secretary of State Clinton asking for the subpoena to be withdrawn. Senator John Kerry followed up his letter with an Op-Ed calling on a withdrawal of the subpoena, and Senator Scott Brown also wrote to Holder and Clinton, uniting both Massachusetts Senators against this move by the Department of Justice on behalf of the British. Congressmen O’Flaherty, Pascrell, Rothman and Doyle asked the Secretary of State and Attorney General to intervene. 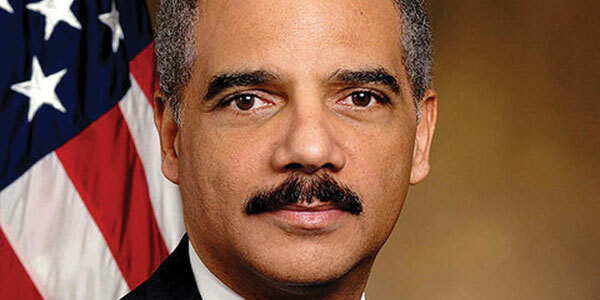 To date, 20 members of Congress have written to both Holder and Clinton seeking a withdrawal of the subpoenas. On April 4th, the Moloney and McIntyre Appeal was heard at the First Circuit Court of Appeals. The First Circuit issued their ruling on July 6th, upholding Judge Young’s ruling from the lower court. Moloney and McIntyre sought a re-hearing. The ruling from the US Court led to the issue being discussed in the Dáil in July, 2012, and it was described as having the potential to impact the peace process by the Minister of State for Foreign Affairs, Joe Costello. Oral arguments for Boston College’s appeal of the second subpoena were heard in September. 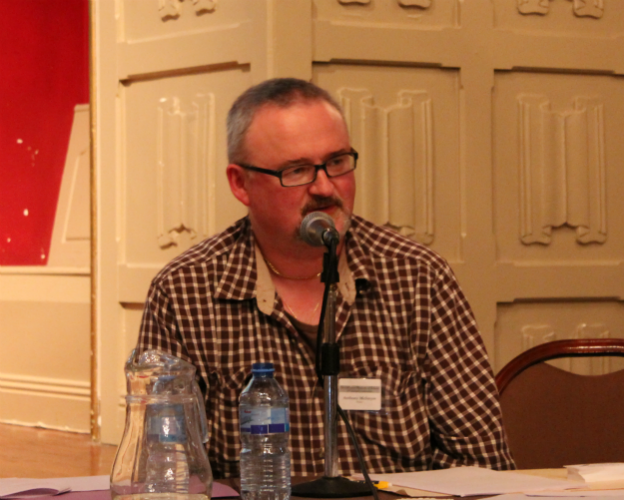 In Belfast, lead researcher Anthony McIntyre filed for a Judicial Review, which was denied. Moloney and McIntyre sought and were granted a Stay from the US Supreme Court, pending the filing of a cert petition. Their Petition for a Writ of Certiorari was filed in mid-November, 2012. The Solicitor General initially waived the US Government right to file a response. The Reporters Committee for Freedom of the Press, ARTICLE 19, the Irish American Coalition of the AOH, IAUC, and the Brehon Society, along with a group of Social Science Scholars all filed Amicus Briefs in support of the petitioners. The Solicitor General then asked for an extension to file a response, which was granted with the deadline of January 31, 2013. On 23 January, 2013, Dolours Price, whose archives formed the basis of the MLAT request, died at her home in Dublin, Ireland. The Solicitor General requested a further extension to file their reply to the Moloney & McIntyre petition to the Supreme Court, and was granted until March 4, 2013 to do so. In the First Circuit Court of Appeals, Boston College filed a moved to vacate the lower court order of Judge Young and moot their pending appeal. The US Attorney opposed their motion. On 15 April, the Supreme Court denied the Moloney and McIntyre petition. The First Circuit Court of Appeals ruled on Boston College’s appeal and motions at the end of May, 2013. The court issued a strong rebuke to the Government’s attempt to reduce the judiciary to a “rubber stamp”. The First Circuit also criticised the Lower Court’s abuse of discretion. The ruling reduced the amount of material to be handed over from 85 interviews (roughly half of the archive) to segments of 11 interviews. In August, 2013, the US Attorney filed a petition for a panel rehearing which Boston College opposed. The petition for rehearing was denied. Two and a half years after the MLAT subpoena request for Brendan Hughes and Dolours Price’s archive material was initiated, two years after the second subpoena seeking further material was issued, after a protracted legal battle which went as far as the doors of the Supreme Court of the United States and through two appeals which saw the amount of material ordered handed over drastically reduced and asserted the authority of the Judiciary over the Department of Justice, on Friday, September 13th, 2013 the First Circuit Court of Appeals entered its formal mandate of its May 31 2013, ruling. A number of people were arrested in 2014 in relation to the McConville case and Boston College tapes, including Ivor Bell and Gerry Adams. Adams was released without charge while Bell’s case is still ongoing. In 2015 the PSNI sought and were granted access to loyalist Winston Rea’s archive material. His case is still ongoing. In 2016, a subpoena was issued to Boston College seeking access to the archive material of lead researcher Anthony McIntyre. His case is still before the courts. The legal and political battles to protect the confidentiality of the archive continues.